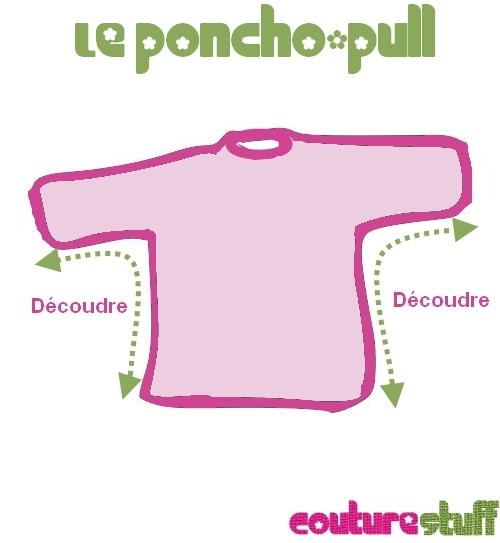 Here is a repurpose tutorial to recycle your sweater into a poncho and make a Poncho-Sweater … Or is it Sweater-Poncho ? ^ ^. It’s really easy to make: 2 seams to rip and 2 seams to stitch and you’re done! The idea came to me because I have some sweaters in my closet that I do not / no longer wear for various reasons. It’s the case of the sweater I used for this tutorial… I wore it once in 5 years because I do not find it very flattering on me. But I could not bring myself to give it away because I like the shawl collar so much. 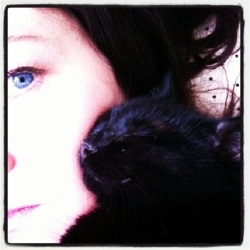 So, instead of letting the moths eat it, I had nothing to loose trying to give it a second life. 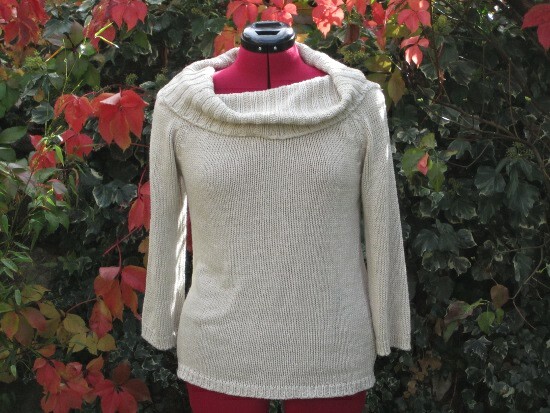 This repurpose tutorial is also perfect for recycling children sweaters, as long as the neck opening is still large enough for their heads. You can transform their favorite sweater, that became too short and too tight, into a shrug or a short poncho. That way they can continue to wear it a little more time. 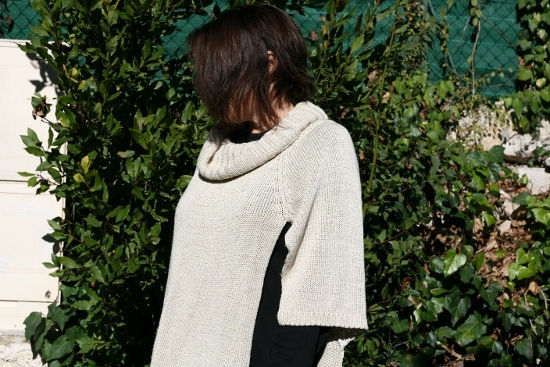 The pics of the finished poncho-sweater are at the bottom of the article. let’s go for the tutorial! 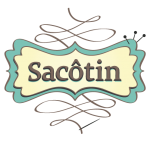 A sewing machine or a serger or simply a needle and your little hands ! 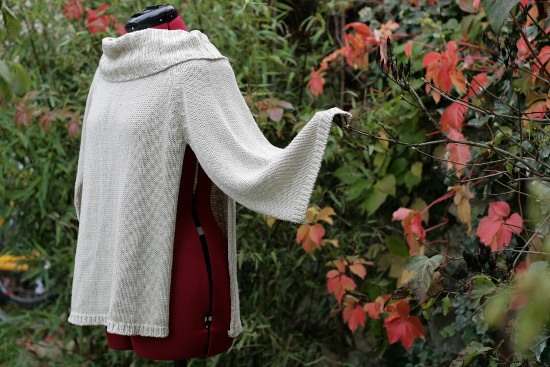 The final length of the poncho will be the same as the sweater used. 1- Using the seam ripper we are going to rip the two side seams and two underarm seams. 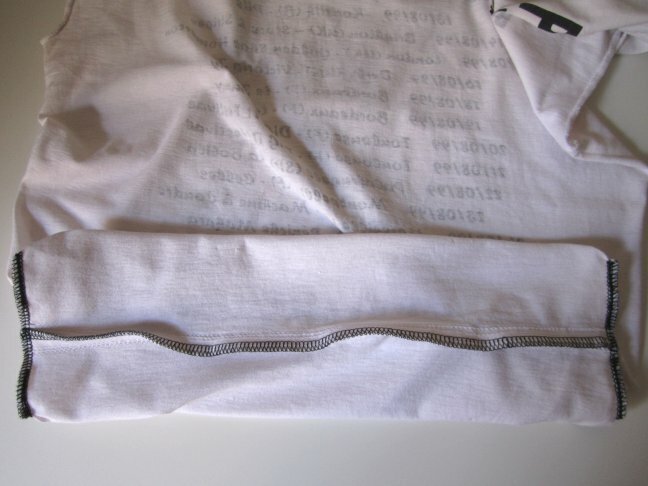 This should in fact be the same seam running from the lower edge of the side to the lower edge of the sleeve. 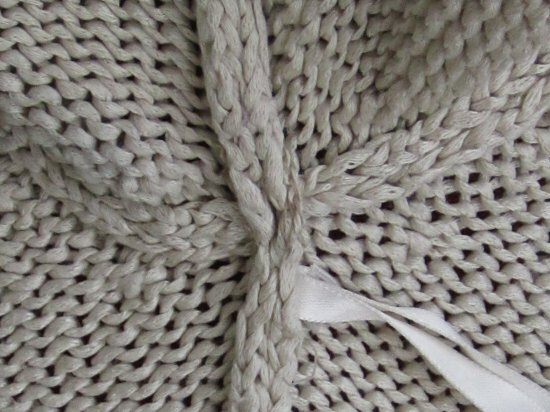 In most store bought sweaters sleeves are sewn flat so the side seam and underarm seam are sewn in one go, as a single seam. This is perfect for us as it will allow us to unpick the side+underarm seam without touching the armhole seam. Running vertically is the side+ underarm seam that crosses the armhole seam. 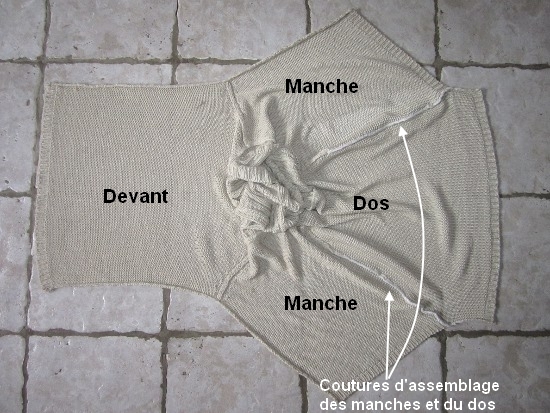 To check if this how your sweater was made : just look at the intersection of the side and armhole seams (at the armpit). 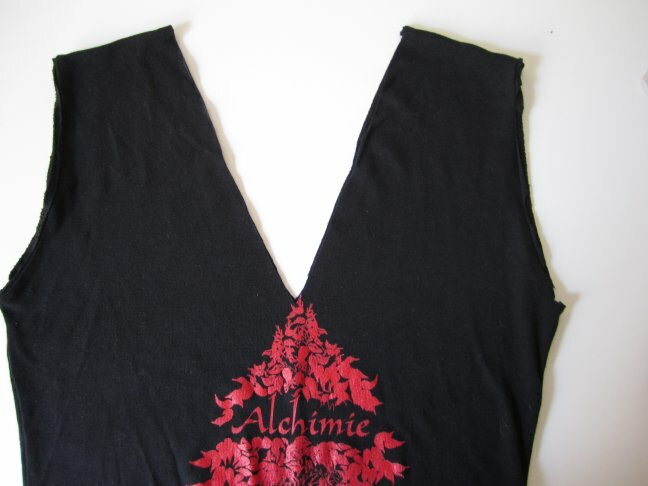 If the side seam is above the armhole seam then you can fearlessly rip the side+underarm seam. It is clear that the side+sleeve seam runs above the armhole seam. 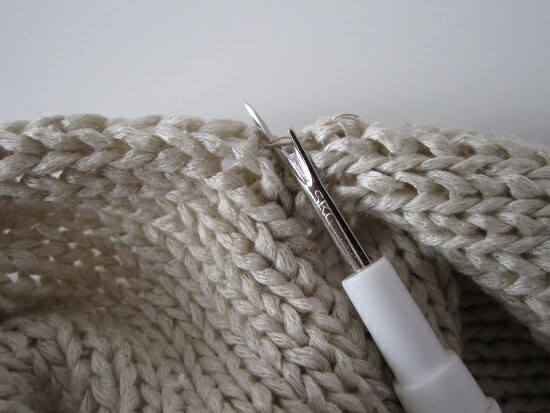 In a knit sweater stitches can be difficult to see, so pull away the pieces gently to see the thread clearly. 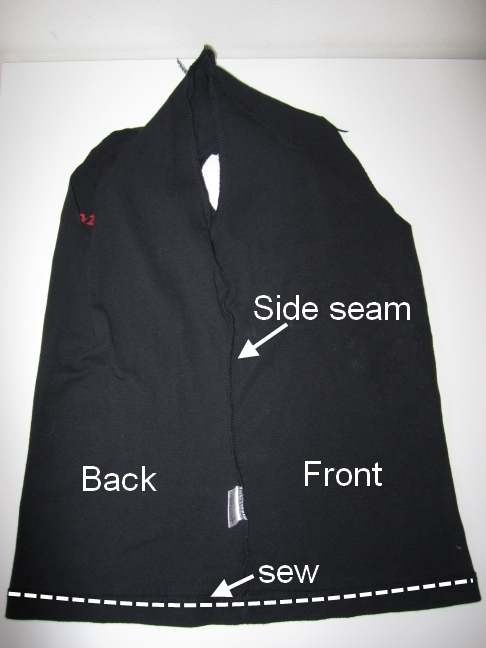 1- Lay one sleeve on the back, right sides together, align edges and stitch from the armhole seam to the lower edge. 2- Repeat with the second sleeve. You can see the two white stitching line I serged. 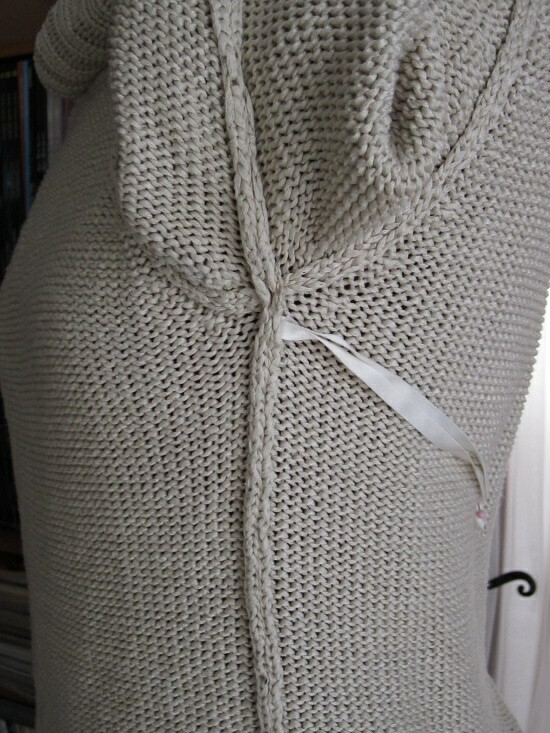 On the left : the front of the sweater, on the right : the back with the sleeves attached on each side. I don’t know about you, But I keep old T-shirts at the bottom of my closet. I probably won’t wear those again because they don’t fit me anymore, are washed out, or distorted… but I keep them anyway because they remind me of happy times. 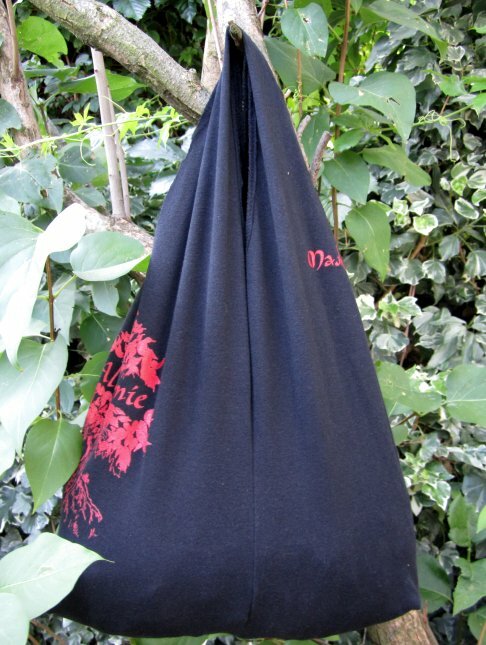 It’s a bit sad to leave them at the bottom of the closet or stashed in the corner of a drawer so here is a tutorial to give them a second life: turn your old T-shirts and tank tops into bags ! This is a very easy and fast sewing project. Plus it’s eco friendly because it’s a recycling project and the bags can be used as shopping bag instead of plastic bags, or even as a casual summer bag. 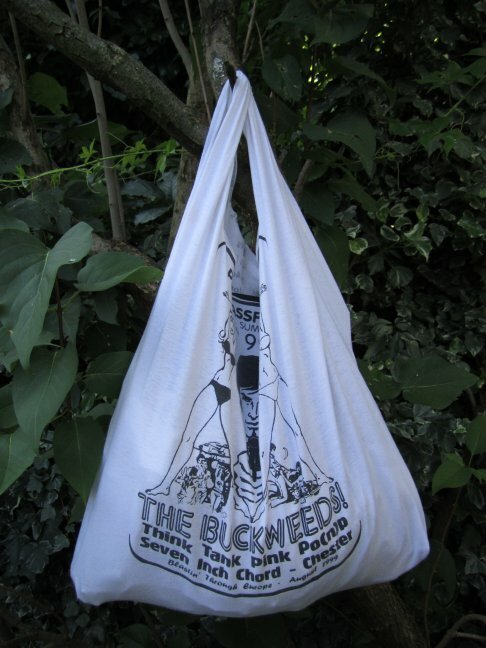 Finally these bags are strong and can be laundered in the washing machine ! So go grab your old T-shirts and tank tops and let’s get started on this tutorial. Here is a simplified diagram, the detailed tutorial is below. 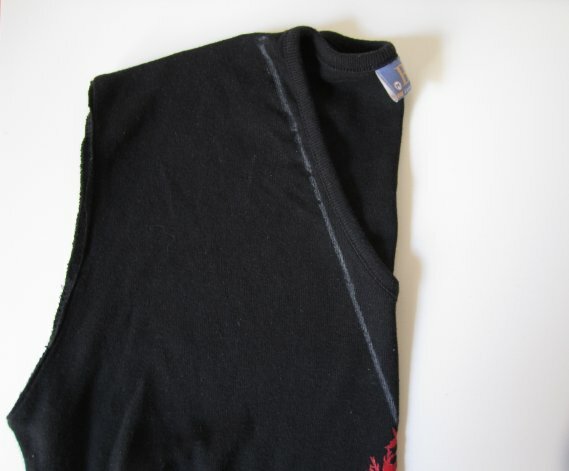 1- Lay your t-shirt flat and cut out the sleeves along the seams. The seams should remain intact with the body of T-shirt : this will make the bag stronger. There are several ways to do this (see below), choose the one that seems the easiest to you. The shape of the opening can be oval, rectangular, V, etc. – T-shirt laid down flat : take a plate or a dish and place it at the neckline. 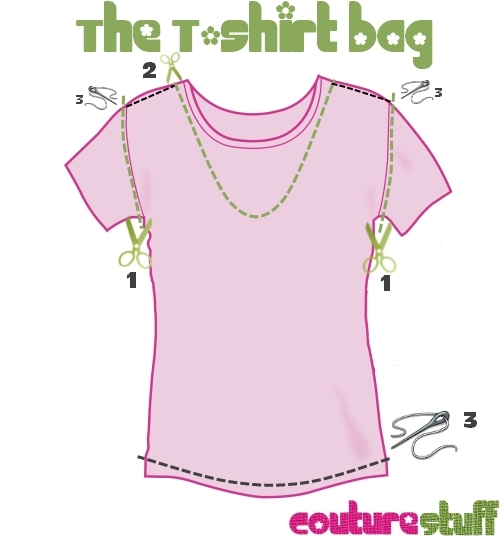 The plate must go well over the T-shirt in order to create an opening large enough to carry the bag over the shoulder (if you wish to do so). Trace around your plate and cut along the line. 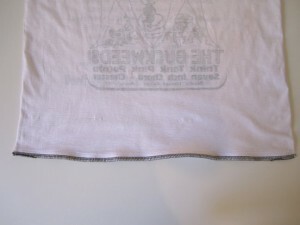 –T-shirts folded in half : like in the previous option take any shape you wish as a guide or use a ruler to create a V opening. Then, as before, cut along the line. Step 3 : sew ! Pin the two bottom edges together. Sew the opening close by stitching throughout. 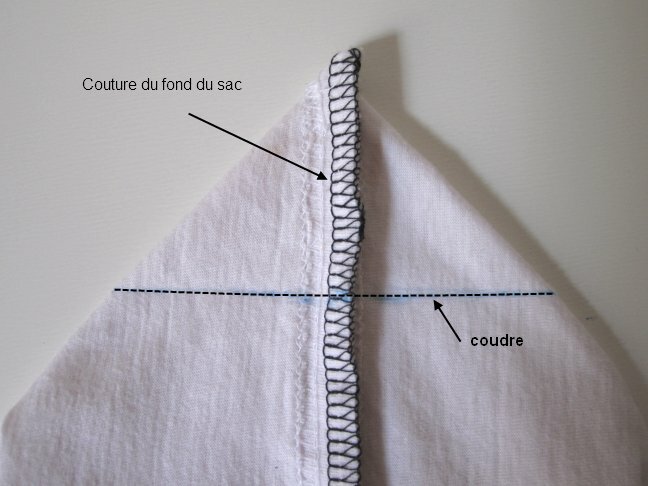 If you are using a sewing machine, sew a second line near the first one to make it stronger. 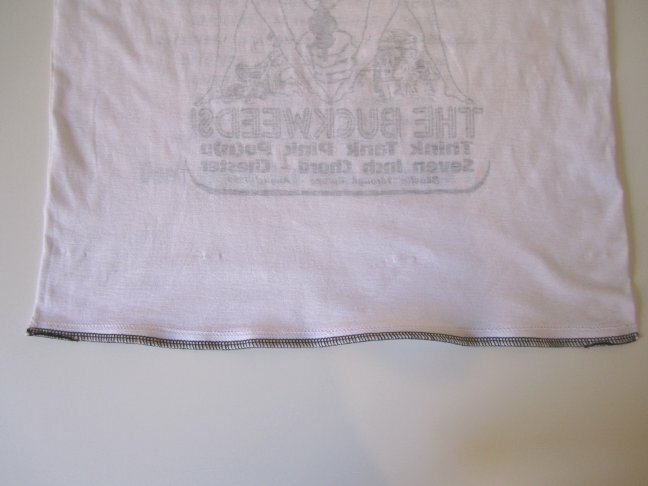 Turn the T-shirt inside out. Lay the T-shirt flat aligning the side seams. the side seams should now be right in the middle. 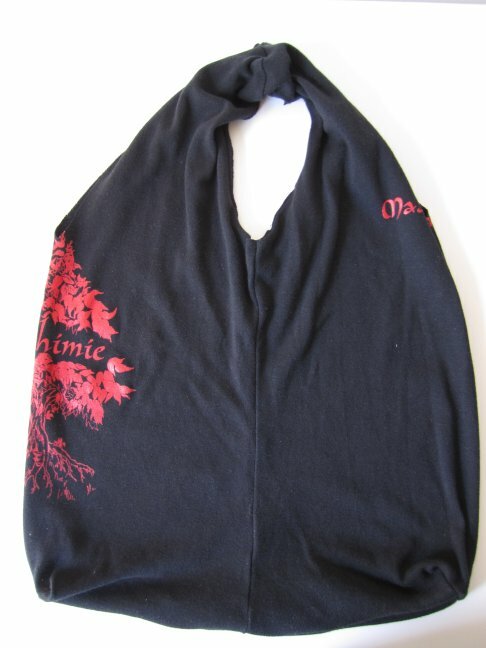 This version is better suited for blank T-shirts as the side seams will be right at the center front and back of the bag. They were already sewn… But we snipped through them at step 2 and with time and use, the seam will fall apart. 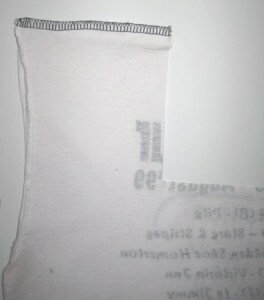 So with the T-shirt still inside out, sew along the shoulder seam (twice if you use a sewing machine). If using T-shirts that don’t have shoulder seams, you obviously can skip this step. Align the bottom seam of the bag with one of the side seams and sew at right angle . 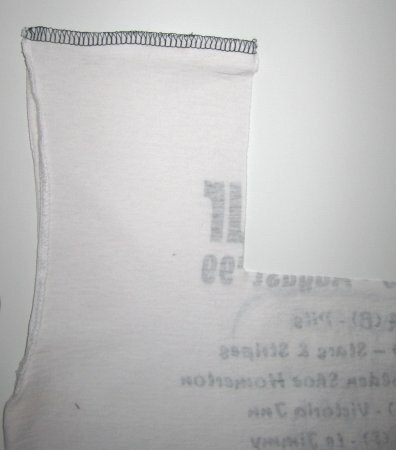 You have to do this on both sides of the bottom seam – This is shown on one side. Here is what it looks like once finished and serged. If you use a sewing machine you’ll have 2 triangles at the bottom.